York; Second Circuit Court of Appeals. Ira Block brings to Livingston Howe an extraordinary background, covering civil and criminal litigation, investigations, corporate governance and compliance, and government relations and regulation in the gaming and racing industry in New York. 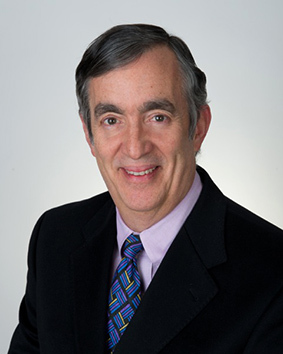 Ira began his career at Kaye, Scholer, Fierman, Hays & Handler, where he worked with premier experts in the area of antitrust law, doing antitrust advisory work and antitrust and other business litigation. From Kaye Scholer, Ira joined the U.S. Attorney’s Office in the Southern District of New York and served as an Assistant U.S. Attorney for almost ten years. He served as Deputy Chief of the Criminal Division, Chief of the Official Corruption-Special Prosecutions Unit, and Senior Litigation Counsel. As Criminal Division Deputy Chief, he was legal advisor to regional offices of several federal law enforcement agencies and also advised state and local agencies. Ira conducted numerous investigations, trials and appeals and, as a member of the Executive Staff, supervised investigations and trials and mentored line Assistants. He was the lead prosecutor in several high visibility matters, including, among others, cases arising out of the Sentry Armored Car Company Robbery, the CBS Murders/Candor Diamond Fraud and the activities of the notorious West Side Manhattan gang known as the Westies. In 1996 Mayor Giuliani appointed Ira to the position of Executive Vice-President and General Counsel for the New York City Off Track Betting Corporation. Ira held that position for fourteen years. As NYCOTB General Counsel Ira acquired considerable racing and gaming industry experience and achieved broad professional recognition as both a legal practitioner and industry leader. He conducted and supervised commercial, regulatory, and employment litigation, drafted corporate policies and procedures, advised on corporate governance, and assured compliance with applicable laws and regulations. Ira monitored and advised on legislative and regulatory initiatives and drafted proposed legislation, rules and regulations. Before becoming General Counsel for NYCOTB, Ira was Executive Vice President and General Counsel of Wechsler Coffee Corporation, an institutional food service company that is now part of the Sara Lee Corporation. Most recently, Ira managed investigations of suspected fraudulent claims submitted to the multi-billion dollar Gulf Coast Claims Facility in connection with the April 2010 BP Deepwater Horizon oil spill disaster in the Gulf of Mexico. Ira has taught trial and investigation techniques at the National Institute of Trial Advocacy and the New York County District Attorney’s Office. Ira has been a frequent speaker and panelist at the Saratoga Institute on Racing and Gaming Law sponsored by Albany Law School. He has also been a speaker at the Bank Administration Institute, and he has served on the Board of Directors of the Yale Westchester Alumni Association.